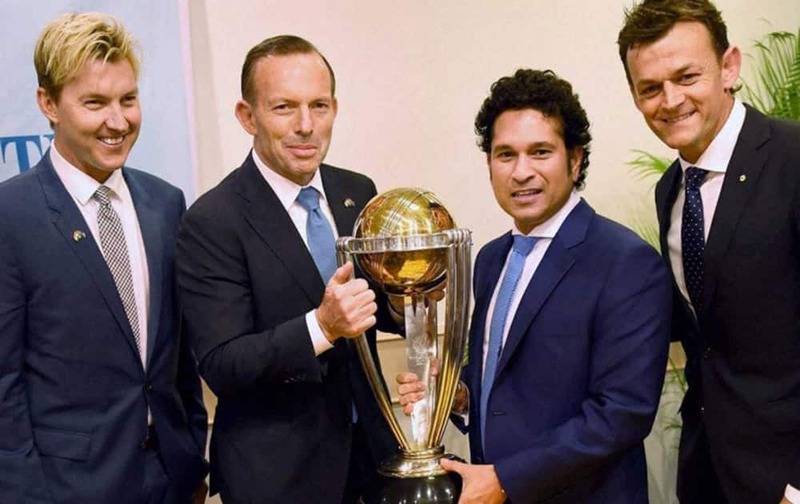 Australian Prime Minister Tony Abbott and legendary cricketer Sachin Tendulkar flanked by former Australian cricketers Adam Gilchrist and Brett Lee pose with the Cricket World Cup trophy during a sporting event. 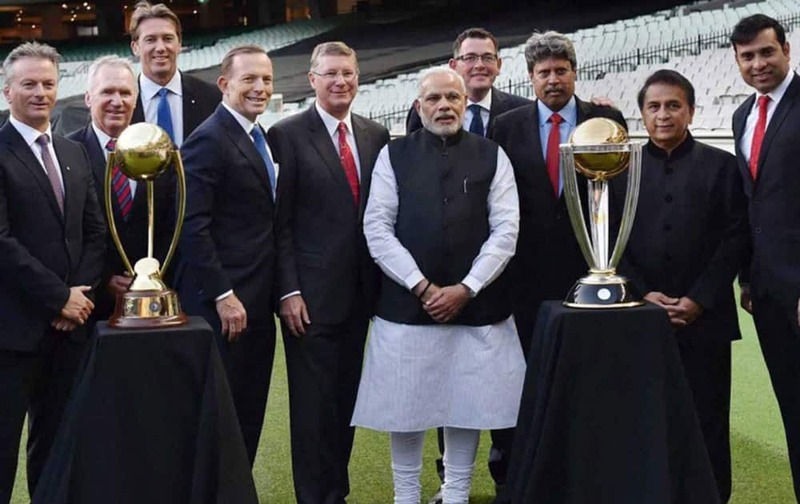 Australia PM Tony Abbott (5th from left) and Indian PM Narendra Modi (6th from left) with legendary cricketers and the World Cup 2015 trophy at the Melbourne Cricket Ground. 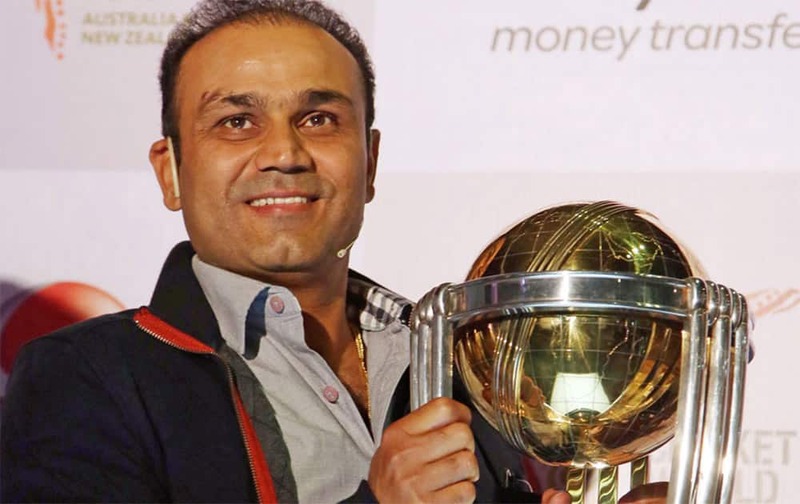 Virender Sehwag poses with the World Cup Trophy at a promotional event, Mumbai. Pakistan captain Misbah-ul-Haq holds the cricket World Cup 2015 trophy in front of the historical Badshahi Mosque in Lahore, Pakistan.